Thoughts on Breaking Dawn Trailer and I’m a Finalist! Did you like that? I’ve decided to randomly call people munchkins, what do we think? Okay, so I’m sorry I haven’t been posting much on this blog, but I hope you are liking my snippets of my novel, The Truth Unknown! Look for more snippets soon and please let me know what you think. That being said let’s move onto something terribly fun, judging the new Breaking Dawn Trailer! Here is the new longer trailer incase you haven’t seen it yet. Bella: For the first time I actually liked the look of the character Bella and and the acting ability of Kristen Stewart. My faith may be totally misplaced,but from the look of the trailer it looks like the character of Bella is coming into her own and Kristen Stewart may have actually taken some acting lessons. Jacob/Wolves: As always I’m in love with Jacob and the wolves animation. Taylor Launter seemed to be doing a good job putting forward heart break and the determination to protect Bella no matter what. The Wedding: The entire wedding scene looks so beautiful! That’s all I have to say is that is gorgeous and Bella/Edward look absolutely in love. Additionally the chemistry Bella/Edward, Robert/Kristen have is crazy good and the trailer and looks as though it will come through in the film. Edward: I have never really been pro Edward, but I haven’t hated him either. However, in this trailer I just didn’t like him. The character seemed forced and unnatural especially in the scenes when he was expressing anger. Perhaps it will be better in the overall movie, but in the trailer I’m not a fan. Pregnancy: I’m just not a fan of the way the pregnancy is being portrayed and I’m not sure how the birthing scene is going to be shown on the film. It’s very graphic and gory in the books and I’m not sure how well that can be communicated on screen. I’m on the fence, but the trailer makes me hate the whole projection of the birth. So those are my thoughts, let me know what you think! Agree or disagree? I want to know. It’s great news and I’m very honored to be included in the finalists! However, I need your help! In order to get into the book and win a book trailer I need votes! Anyone can vote and voting opens up on October 1st! 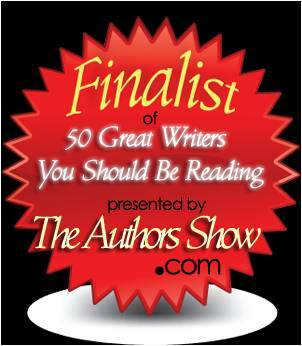 The 50 authors with the most votes will be included in the 2011 edition of “50 Great Writers You Should Be Reading”. These 50 winners will be listed on our contest page, and they will receive a digital seal recognizing them as winners in the 2011 edition of “50 Great Writers You Should Be Reading”.